Meghan and Connor were married at the Eastern Promenade in Portland, Maine. This photograph was taken at the Italian Heritage Center soon after their first dance. 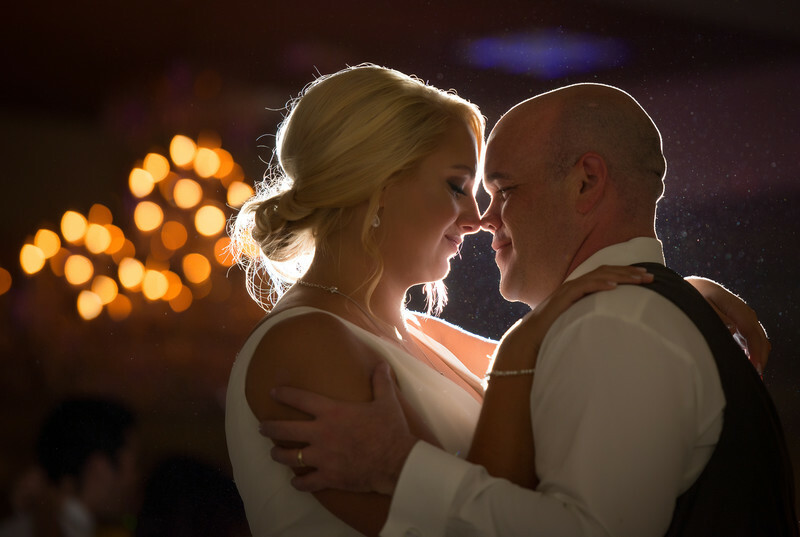 I love the bokeh of the chandelier in the back ground making a romantic and moody feel to the image. This was shot with a Nikon 70-200mm 2.8 VR lens compressing the image for a gorgeous view of the couple as the are enjoying the moment together.